Another step towards the electrification of the BMW brand was presented to us last week in Portugal where the Munich-based automaker has hosted the International Media Launch of the BMW 7 Series Facelift and 8 Series Convertible. 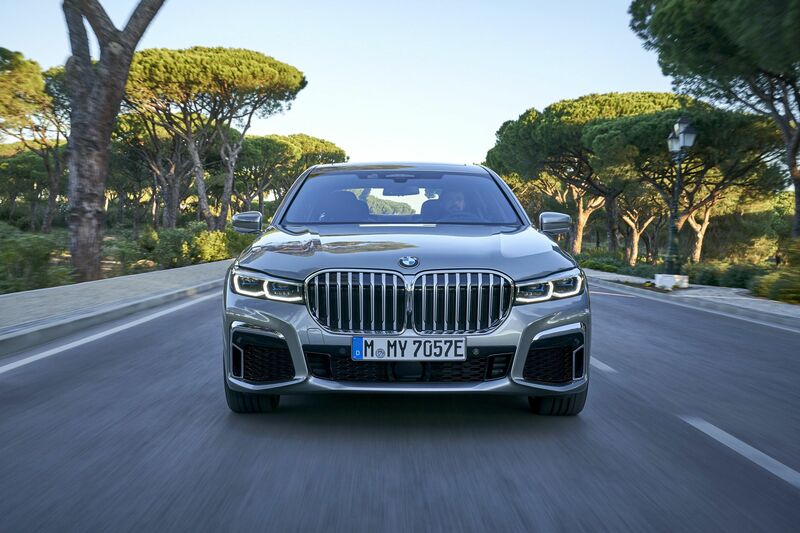 Along with conventional engines, the Bavarians also brought out their latest plug-in hybrid – the 2019 BMW 745Le xDrive. 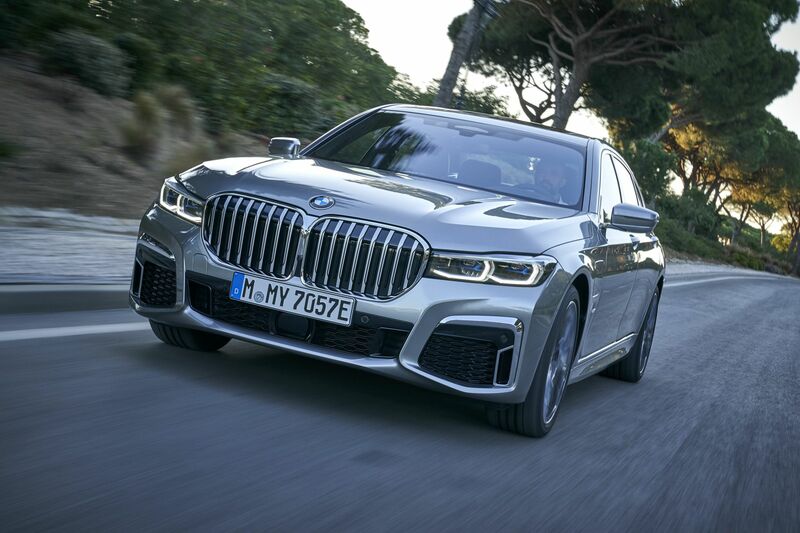 The new 7 Series hybrid is part of the recently unveiled new PHEV family which spans across multiple series – from the 3 all the way to the 7, and to the high-end X models as well. 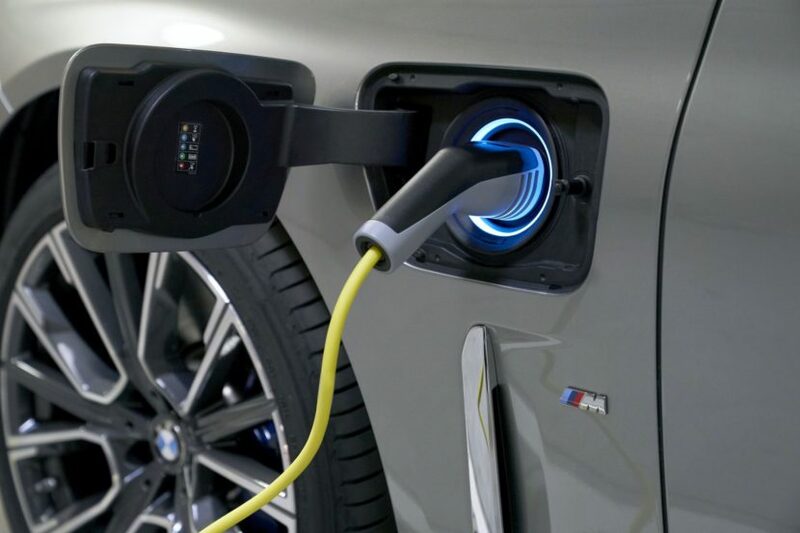 It’s also the next step in the the “2025 electric plans” which include at least 12 fully-electric BMWs and at minimum 13 PHEVs. We also believe that the next generation of the high-end limousine might forgo the gasoline and diesel engines, in favor of all-electric and plug-in hybrid drivetrains. Of course, the drivetrain is only half the story with the refreshed 7 Series, which in my opinion, is one of the boldest mid-lifecycle updates that I’ve seen in BMW’s modern history. 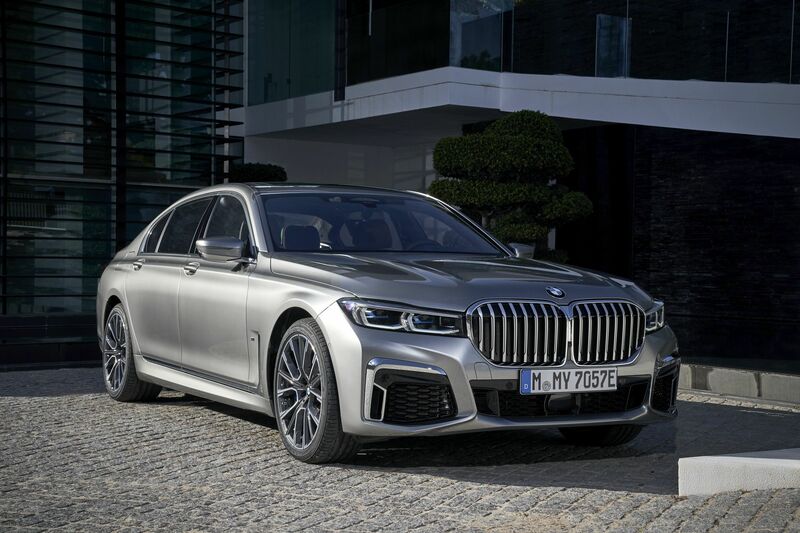 The design of the new 7 Series has been highly debated and even months later, it’s still a hot topic in the automotive industry. But I will save the design “pep talk” for my 2019 750Li review, and instead, we will focus solely on the technology and driving experience of the 745Le. The new 745Le, or simply 745e in the United States, will arrive in the Spring on this side of the pond and brings a significant drivetrain upgrade over the outgoing 740e. 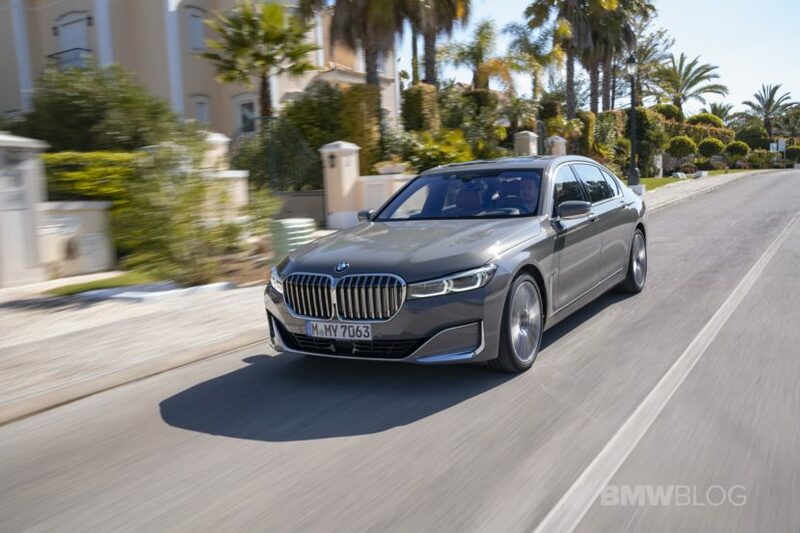 Instead of the 2.0 liter four-cylinder engine, the new 7 Series PHEV uses the brand’s popular 3.0 liter inline-six patron engine which aims to correct some of the power deficiencies of the 740e. The petrol engine itself makes 286 horsepower and 332 pound-feet of torque, while the electric motor has a rated output of 113 horsepower and 195 pound-feet of torque, gains of 2 hp and 9 lb-ft. Total power output: around 394 horsepower and 442 lb-ft of torque. The lithium-ion battery pack now has great energy density, storing 12 kilowatt hours of energy (10.4 kWh usable) compared with the prior model’s 9.2 kWh. Charging time for the 745e is 4.4 hours at a rate of 3.7 kW. ZF’s famed 8-speed automatic transmission is also integrated with the electric drive motor and has been slightly revised for the 745Le. The high-voltage battery is positioned underneath the rear seats, while the 46-liter fuel tank (12 gallons) is located above the rear axle. This means that the luggage compartment volume of the plug-in hybrid models is only slightly restricted. 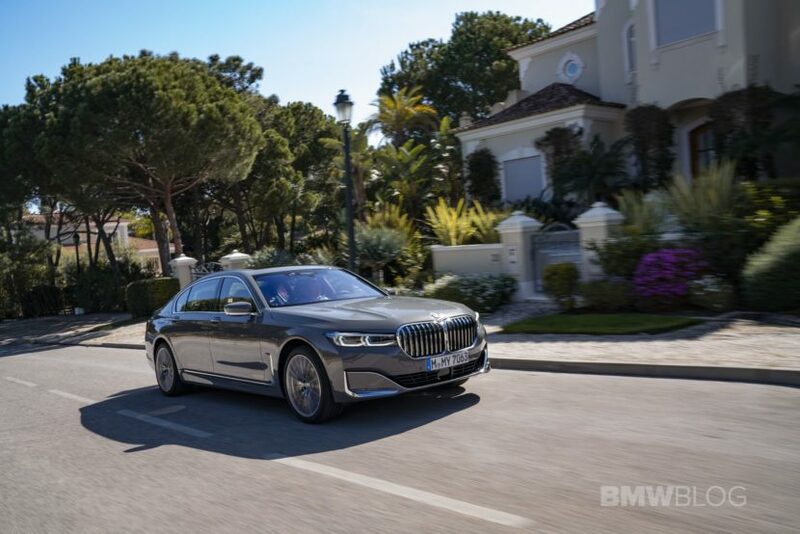 The electrically powered range of the new BMW 745e is between 54 and 58 kilometers (33-36 miles), while the new BMW 745Le reaches 52 to 55 kilometers (32-34 miles). The new BMW 745Le xDrive achieves an electrically powered range of 50 to 54 kilometers (31-33 miles). All these figures are for the European market, the EPA in the US has yet to publish the mpge figures. Regardless of the final figure, the electric driving range will be at least double of the 740e model. 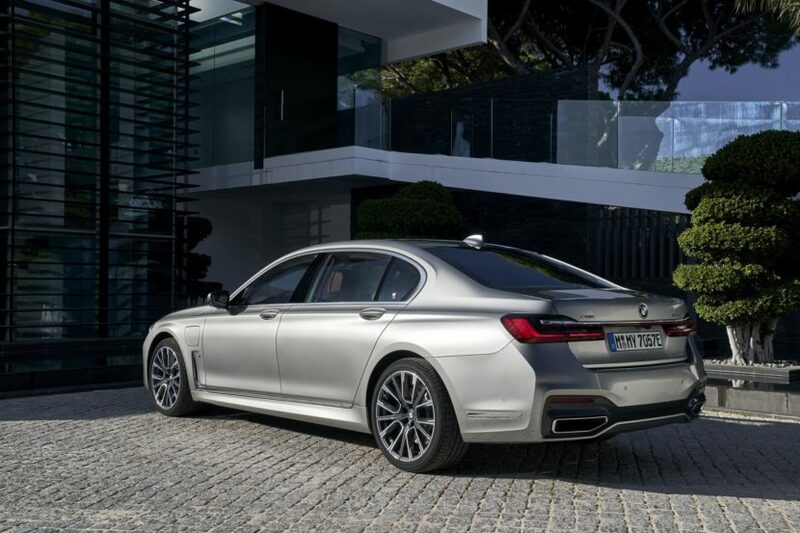 The new BMW 745e accelerates in 5.2 seconds from zero to 100 km/h (62 mph), while the new BMW 745Le takes 5.3 seconds. Meanwhile the new BMW 745Le xDrive reaches the 100 km/h mark from standing in 5.1 seconds. Though Europe will get several 7 Series PHEVs, the US market stays true to its strategy to only offer a long-wheelbase, all-wheel drive limousine. The 745Le xDrive sold in Europe is branded in the US as the 745e xDrive. 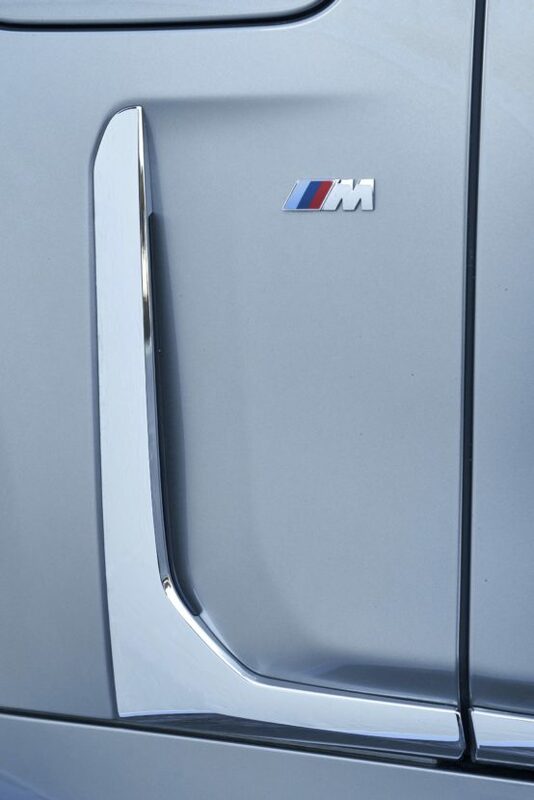 Furthermore, US customers won’t see the M trim that puts an M logo on the front fenders. The refinement of the 7 Series plug-in hybrid continues with three simplified driving models – Hybrid, Electric and Sport. 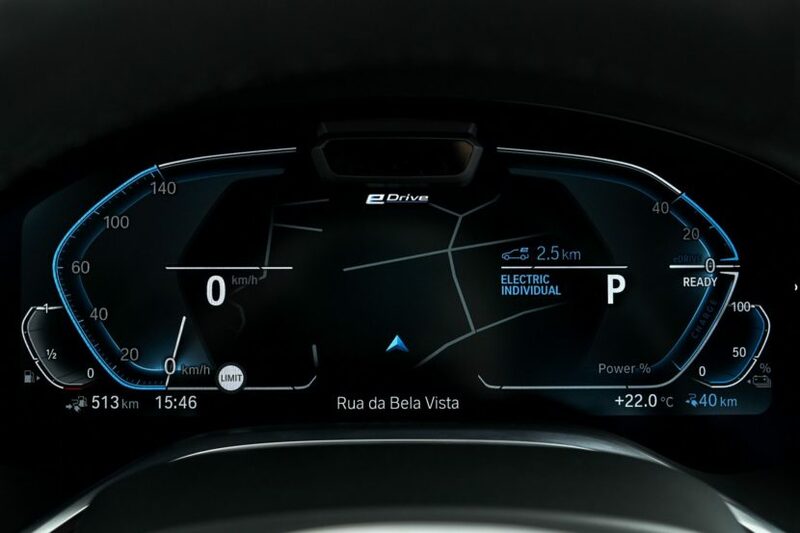 The default mode is Hybrid (you can change that in the iDrive settings) which brings some speed restrictions for the all-electric drive – 109 km/h (68 mph), 20 km/h) faster than the predecessor models. If you switch to the always electric drive, the top speed bumps to 140 km/h (87 mph). 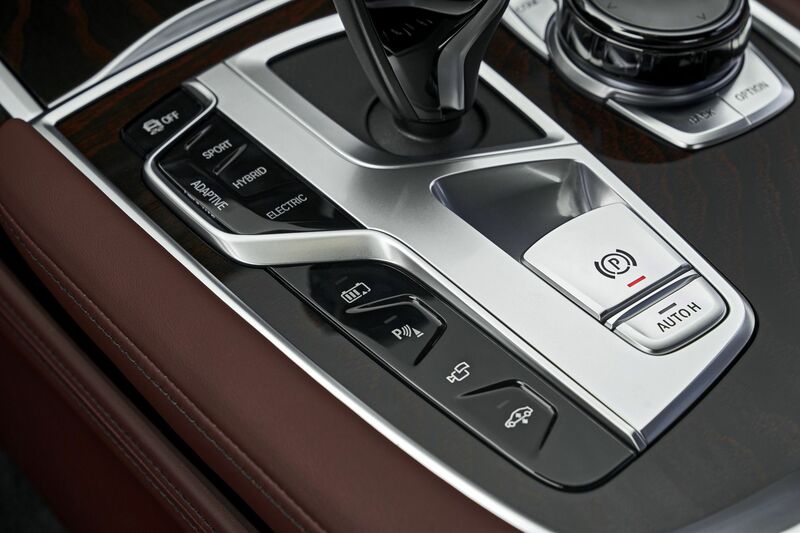 Clearly, the Sport mode gives you the most power and top speed of 250 km/h (155 mph). The plug-in hybrid aficionados will also be pleased to learn that the Battery Control function lives on in the 745Le/745e models. The idea behind this button is to save your EV range for later, like the city driving scenario. Furthermore, you can select the charge level desired so the car will do the work for you to maintain that charge setting. What’s the usefulness of this? 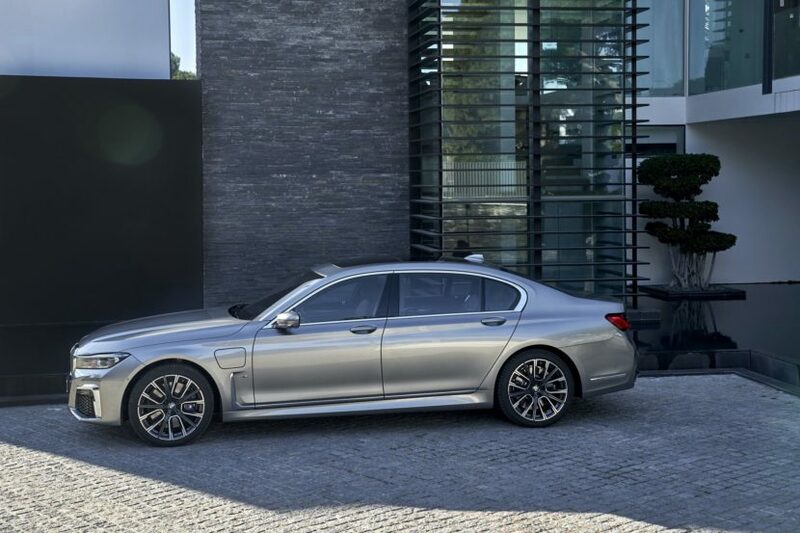 Aside from the silence of the EV mode in city driving, BMW engineers want the 7 Series hybrid to be bulletproof in case some cities will impose an EV-mode only on their streets. 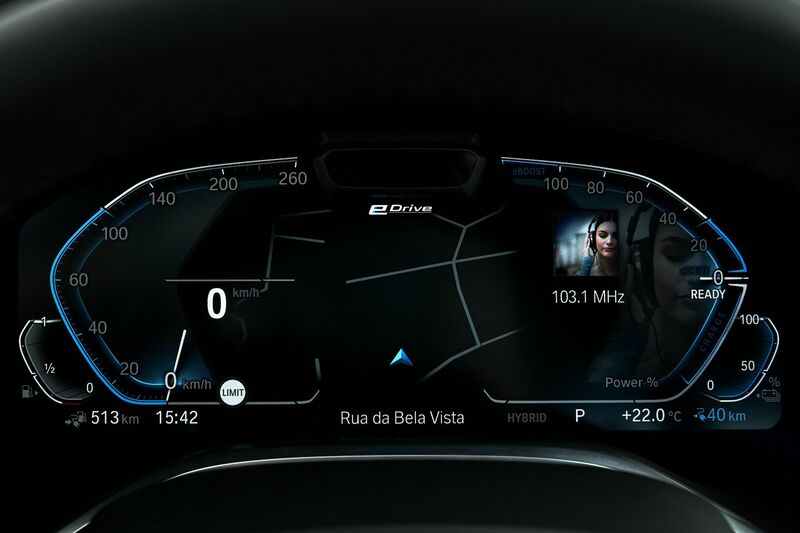 Probably the coolest tech thing is the satellite navigation system which, not only calculates the most energy efficient route, but it also tells the car when to switch to the EV mode, if you pass through urban areas. 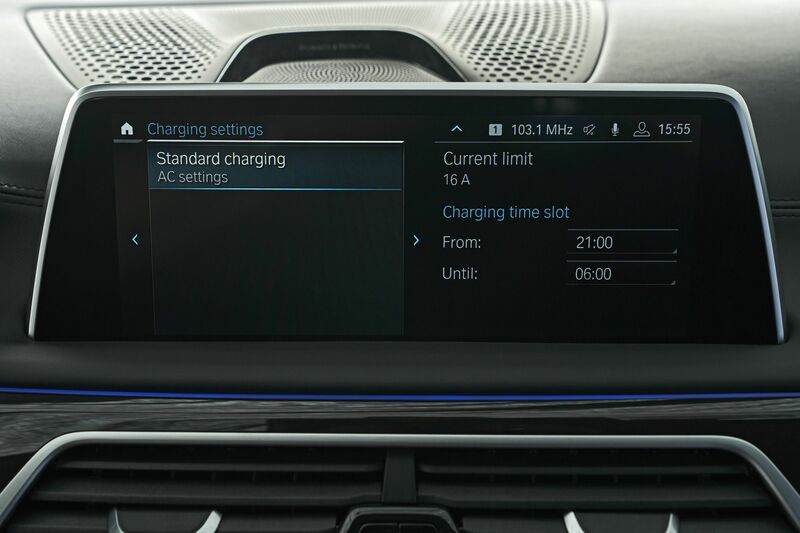 The large digital screens inside the 7 Series have been customized to the data offered by the plug-in hybrid drivetrain. You’re not only getting specific color gauges to reflect the driving modes, but also plenty of information about the battery charging levels, driving range, efficiency, brake-regen and speed available. Starting off in Hybrid mode, I get the chance to experience the car’s updated drivetrain. Immediately I can sense the additional power and torque of the six-cylinder when compared to the 2.0 liter pot, and despite its heft – 4,848 lbs (2,200 kg) – the acceleration from standstill is quite punchy, but not as aggressive as in the 750i, for example. Customers who love hybrids will appreciate the smoothness of the new system and as a result, a comfortable ride either in the front or in the rear seats of this limousine. While I was a fan of the 740e, I was never sold on the idea of a 2.0 liter four-cylinder in a heavy and large car, mostly because of the underpowered feeling, but also because of its engine noise. I’m glad to report that, as you’d expect, the 745Le/745e brings back a bit more life into the noise department and customers will appreciate the extra growl from the 3.0 liter inline-six. Of course, most of that noise won’t be heard from the outside since my tester had the Acoustic Package which doubles the thickness of the car’s windows for an extremely quiet experience inside the cabin. The Active Sound is still there, but discrete and enough to remind you that there is a conventional engine running under the hood. The Hybrid mode allows the 745Le/745e to balance between the gasoline and electric power, and it’s impressive how smoothly it does in either direction. If you floor the gas pedal to overtake, the gas engine steps in and puts down more power, so it’s refreshing to see how effortless the operation is. Switching over to Sport and its gas-only mode, the sound of the six-cylinder engine gets louder, the extra power is immediately felt and now you feel like you’re in a total different car. This reinforces one of the main reasons why customers buy hybrids – having the best of both worlds – performance and efficiency – without having to worry about the driving range. Now it’s time to try the Electric mode, but at a first glance and during a short trip, it’s difficult to find any significant differences between the 745e and the 740e. The large and long limousine still accelerates quickly off-the-start, hiding the weight of the car. The drivetrain operation is extremely silent, therefore BMW offers an optional external sound generator for pedestrian safety in EU-spec cars, and standard in the US models. If you’re heavy on the throttle, you can see the electric range quickly diminishing, but considering I was there to test the car in different driving modes and scenarios, efficiency was the last thing on my mind. When the longer term press cars will be available, I will run through different driving situations to get an accurate count of the electric range. Lovers of the Eco Pro mode will also be happy with the feature in the 745Le. The super efficient driving mode is part of the Hybrid setting and will proactively maximize efficiency on the programmed route. BMW engineers say that the drivetrain will operate in such a way that it will always have some miles of electric range left before you reach your final destination. It does so by letting the car decide when to disengage the conventional engine and electric motor or when to regenerate power. It’s a fairly complex system that takes into account several variables. One thing it felt odd compared to the 740e was the brake pedal which has more regenerative travel built into it and it’s a bit overservoed. It takes a bit of time to get used to it, so maybe after some time with the car, it just feels normal. With 41 percent of 7 Series being sold in China and 18 percent in the US, most of the world will see few 745e or 745Le models. 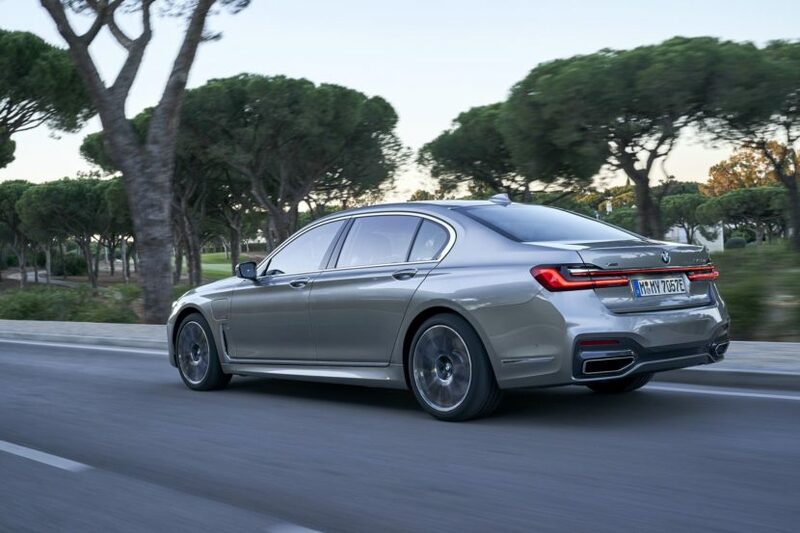 Europe is still heavy on 7 Series diesels, while the Middle East loves big engines, so I still expect that most of the 7 Series PHEV customers to come from United States. The PHEV revolution in the US has been happening for years now and BMW is selling a good chunk of them across their entire lineup. 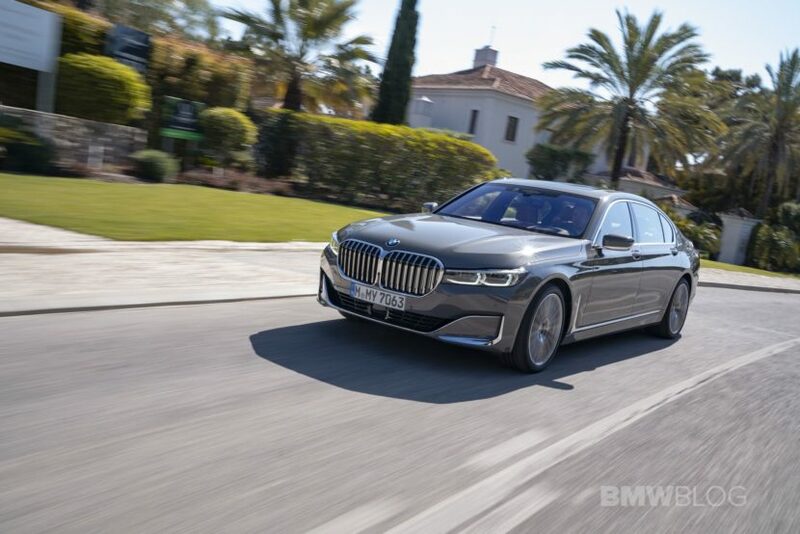 With a polarizing design (the jury is still out on whether customers will embrace it) and a refined plug-in hybrid drivetrain, the new BMW 745e and 745Le are a compelling product in the world of high-end limousines, and if you’re more of the progressive type, then the 7 Series PHEV could find a home in your garage.